This time Audionics has taken material already available on FTD releases. 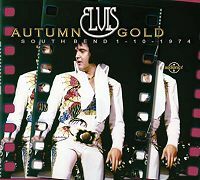 This double CD contains the South Bend show from October 1 1974, first out on Dragonheart already in 2003. The sound is slightly better this time. Dragonheart from FTD was one of the most "compressed to death" release from FTD ever! CD-2 contains large part of the Hollywood rehearsal on August 16, 1974. This material has been released many times, also officially. This time it comes in true binaural sound.